Various filmmakers over the years have attempted their crack at the Punisher, the gun-toting urban vigilante made famous in Marvel Comics. Some will remember the movie version around a decade ago starring Thomas Jane and John Travolta. Director Christian Sesma’s Vigilante Diaries may be the first movie that actually gets the character right on the big screen using a derivative clone of Marvel’s superhero. This ups the ante in terms of graphic action and slick comic book storytelling. Starring Paul Sloan as the titular anti-hero and Jason Mewes (Clerks) as his wisecracking buddy, the direct-to-video action thriller has explosive action in a fun script. It’s a guilty pleasure from beginning to end, highlighted by appearances from Michael Jai White and Michael Madsen among others. Infused with a comic book vibe and intense gun battles, Vigilante Diaries is wall-to-wall action. The production is impressive in scope, shooting in locales across the world. Originally developed from a web series, you would never realize that by watching it. The entire movie is constructed around a similar hero to the Punisher known as ‘The Vigilante’ with virtually the same modus operandus. He is the Punisher in everything but name, including a sidekick and ring of international villains which oppose him. Knock-off characters like this rarely work in entertainment, which is why it’s so surprising this was such an enjoyably fun ride. 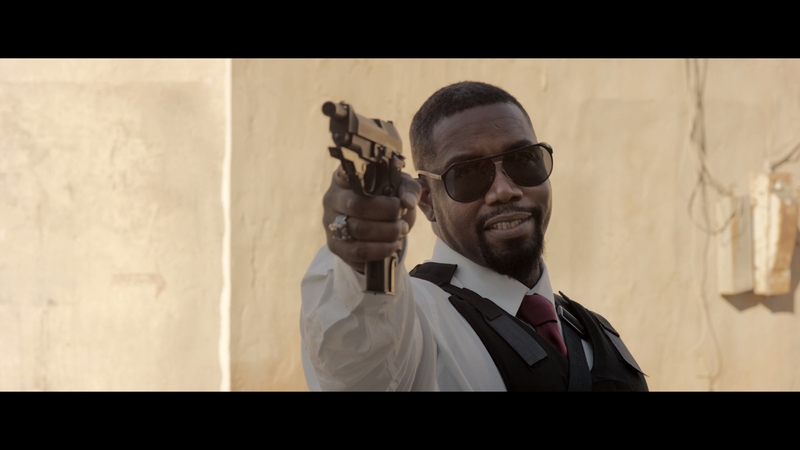 Vigilante Diaries combines slick action, comic relief, and an interesting cast of supporting actors. Like the best action films, it dwells in a gritty hyper-reality with insane violence and colorful characters. Vigilante Diaries combines slick action, comic relief, and an interesting cast of supporting actors. The Vigilante is an urban avenger that uses his skill with guns to take down criminals across the world, which has made him any number of powerful enemies. Unlike traditional superheroes with their strict moral codes, the Vigilante has no qualms taking the law into his own hands by killing criminals. 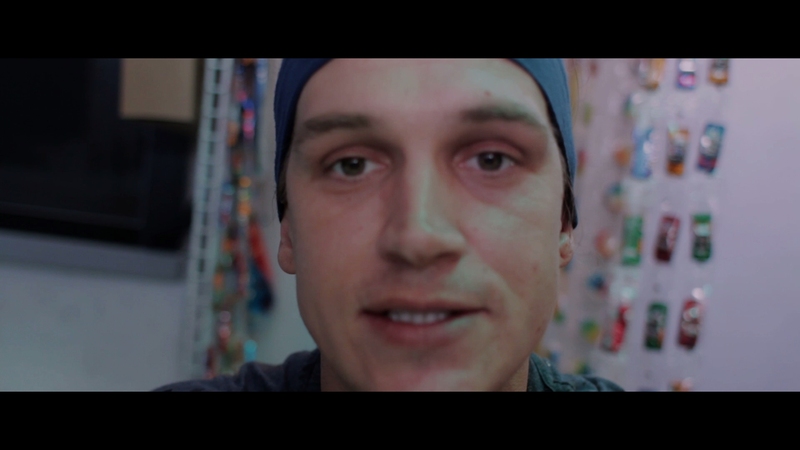 His escapades are filmed for streaming video by Mike Hannover (Jason Mewes). 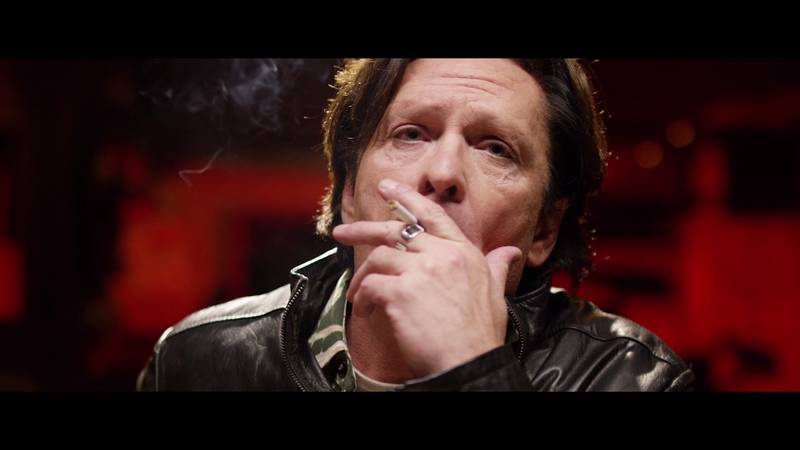 Paul Sloan perfectly fits the role in a script that doesn’t ask much more than looking tough. His muscular physique and steel-jawed look is all that is necessary for the Vigilante to be pulled off with credibility. A former black ops specialist, the Vigilante becomes the target of the Armenian mob, Mexican cartels, and a rogue team of special forces soldiers in his adventures. 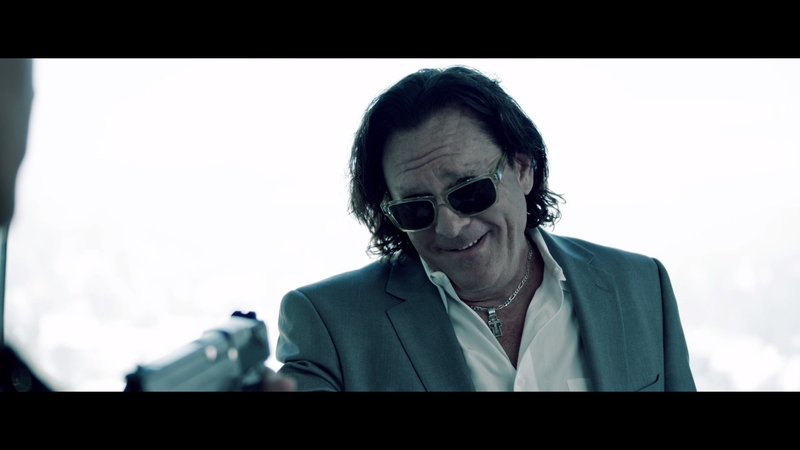 His old mentor is tracking him down, a man known as Moreau (Michael Madsen). Along the way the Vigilante will be tortured, see close associates get killed, and travel around the world in an attempt to bring justice. The closet comp I can think of for Vigilante Diaries’ over-the-top action is the G.I. Joe movie franchise, if they were rated R and had far more realistic violence. It’s humorous at times but Vigilante Diaries exists for massive firepower and bone-crunching action. That is helped by an impressive roster of faces, some you’ll recognize and some you won’t. 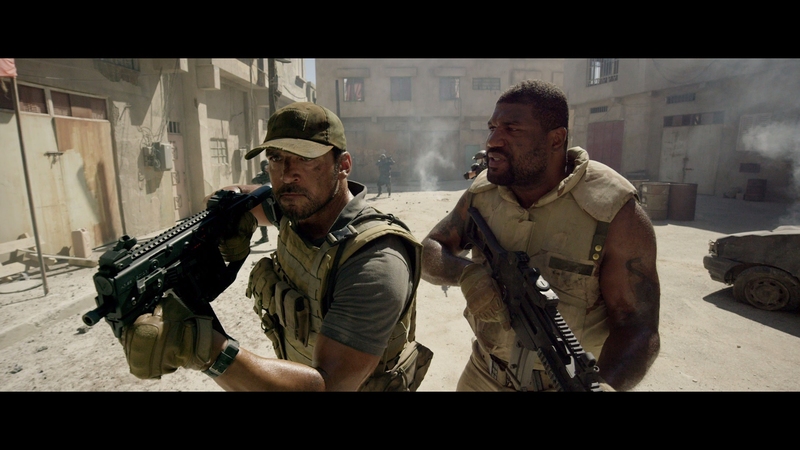 UFC legend Quinton ‘Rampage’ Jackson, Michael Jai White, WWE star Sal ‘Chavo’ Guerrero, Jr., Jacqueline Lord and others help fuel the testosterone-charged movie. There is also plenty of exotic eye candy provided for the intended male audience. They rarely make action movies like this anymore, aimed squarely at the younger male market in a no-holds barred style. No concessions are made to soften its edges for a broader audience. 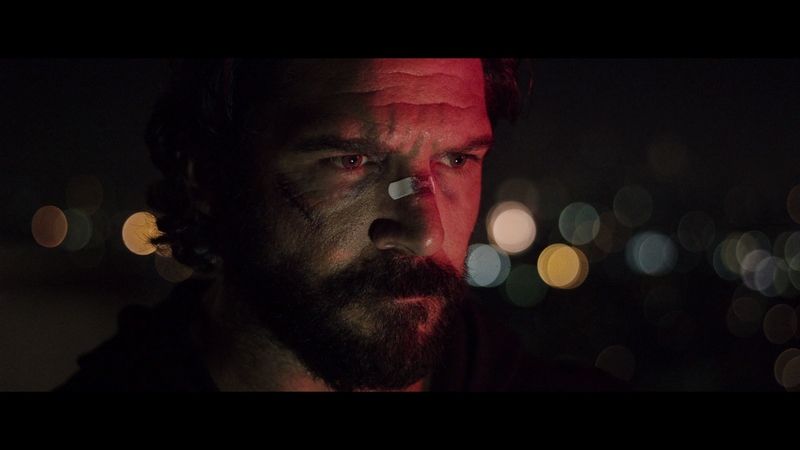 If you ever wanted to see a character very similar to the Punisher in a raw, R-rated action flick, Vigilante Diaries neatly fits the bill. It’s some of the most fun I’ve had at the movies this year. Starz / Anchor Bay presents Vigilante Diaries in spectacular fashion on Blu-ray. The 1080P video has been purely transferred from the nearly immaculate digital intermediate in flawless clarity. 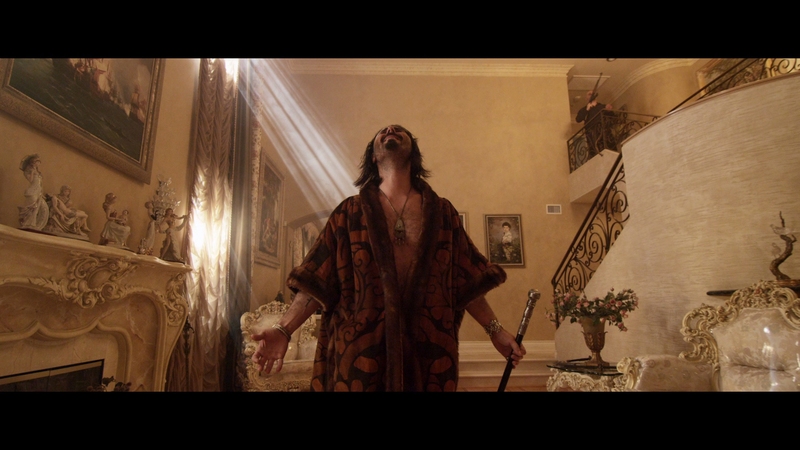 Shot with the 6K RED Dragon digital camera, Vigilante Diaries has nigh perfect definition and high-frequency content. Close-ups ooze micro-detail in razor-sharp video. The 107-minute main feature is encoded in transparent AVC on a BD-25. It’s hard to mess up a high-quality production shot in 6K resolution and discs like Vigilante Diaries are why people will spend tens of thousands on their home theater. It’s an in-your-face demo with perfect contrast and amazing color saturation. If anything holds it back, the 2.40:1 aspect ratio feels slightly congested outside of the action moments. It’s solid cinematography with slightly erratic composition. Nearly as good as the video quality, Vigilante Diaries has an explosive 5.1 Dolby TrueHD soundtrack. Mixed with a discrete surround presence as its backbone, there is extended LFE and an impressive soundstage. There isn’t a weakness in the audio. Dialogue is perfectly clear even within the huge dynamic peaks during battle. Optional English SDH and Spanish subtitles display in a white font outside the 2.40:1 aspect ratio. The lone special feature is a fairly limited, behind-the-scenes featurette. Somewhat strangely, director Christian Sesma isn’t interviewed in it, leaving that task to producer and actor Mike Hatton. He’s better known as the character Barry. It would have been a lot of fun to get more participation from both cast and crew. Behind The Scenes (07:27 in HD) – A couple of crew members delve into making the movie and discuss its parameters. It does help fill out what went on behind the scenes, briefly showing footage from the set. A wild comic book movie clearly inspired by the Punisher.